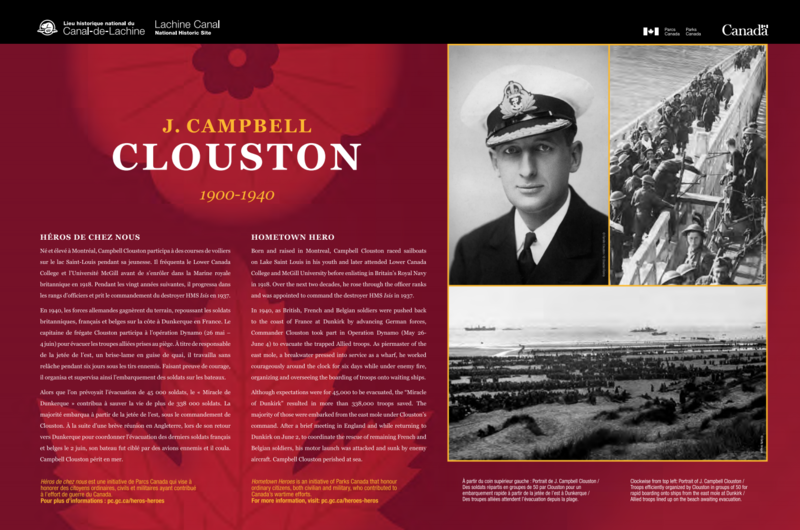 James Campbell Clouston, the Second World War hero whose efforts at Dunkirk in 1940 saved the lives of hundreds of thousands of soldiers, was remembered as a “Hometown Hero” in an elaborate and fitting tribute mounted by Parks Canada on the shore of Lac St Louis, where he grew up. Quick thinking and calm under pressure, James Campbell Clouston, helped save 300,000 men at Dunkirk in WWII. 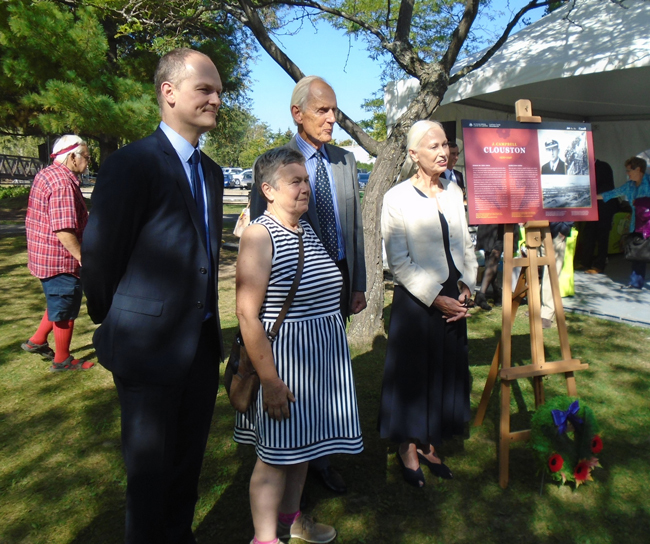 On Sept. 21, in a moving ceremony attended by family members, Canadian Armed Forces senior officers and local dignitaries a plaque was unveiled in the Lachine Canal National Historic site. It was a fitting setting as Commander Clouston spent his early life on and around the lake, and it is where he acquired his first nautical skills. 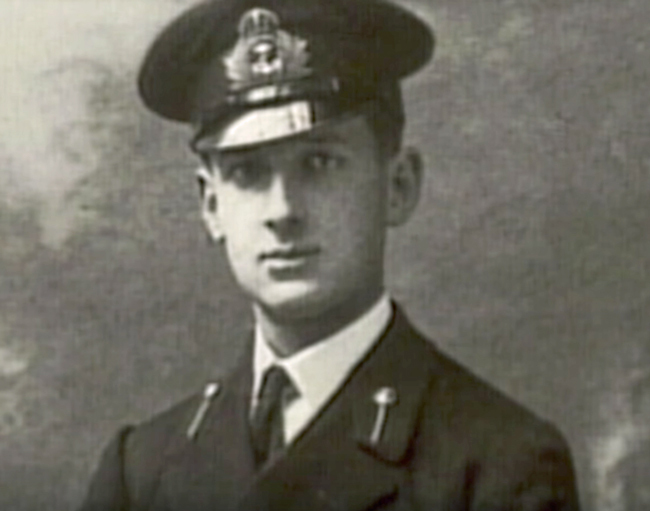 After attending school in Montreal, including one year as an engineering student at McGill he enlisted in the Royal Navy during the First World War. He remained in the navy for the rest of his life – an impressive career which culminated in his heroic contribution to the evacuation of Dunkirk in 1940. He lost his life during that operation and, as so often happens, his story faded slowly from public memory over the intervening decades. 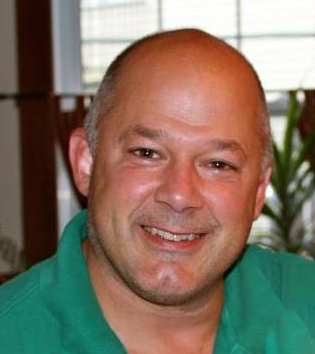 However, the work of local historians and the release of the movie Dunkirk earlier this year has returned his name back to the forefront. To mark McGill’s role in his life students and staff were represented by EUS President Jessica McAvoy and Wes Cross of McGill Remembers. Read more about the James Clouston commemoration. The commemorative plate honouring James Campbell Clouston. Click on the image for larger version.